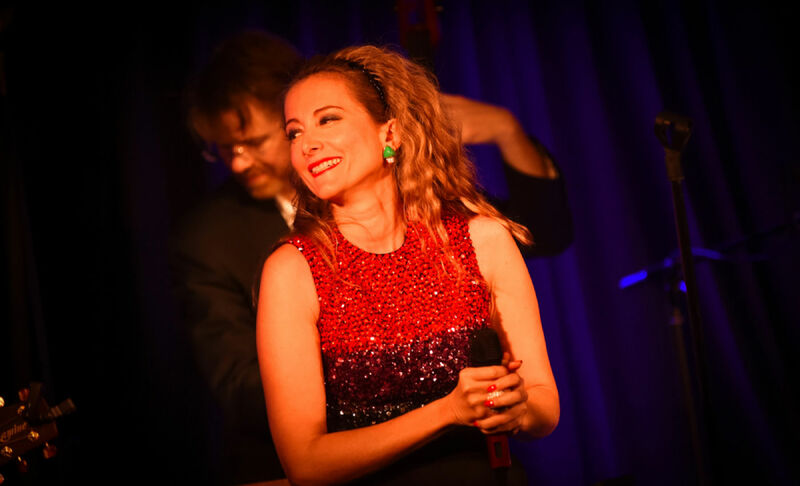 On Monday 19th October Miel stepped on stage once again, this time at the famous Jazz Club Soho on Dean St., supported by her fantastic band with a welcome guest appearance from The London Horns. 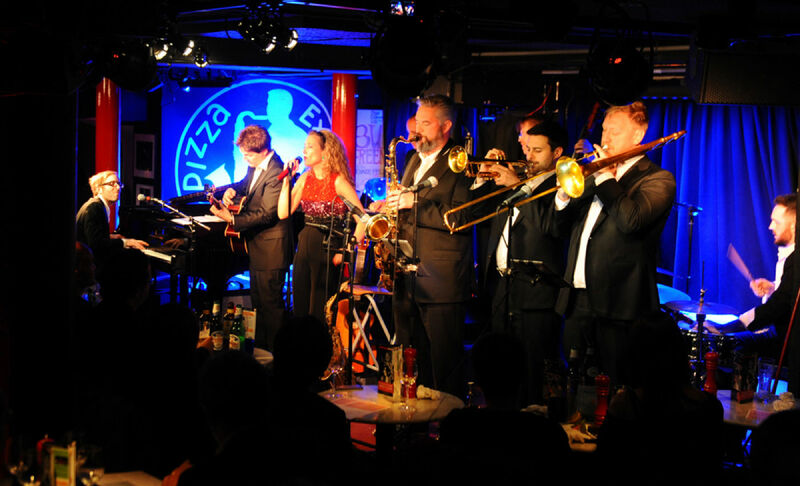 Over the years many of the world’s finest jazz and contemporary musicians have performed at the club, including Ella Fitzgerald, Jamie Cullum, Norah Jones and Amy Winehouse. However, this time, it was Miel’s turn to dazzle the audience and dazzle she did! The evening was relaxed and intimate – a true representation of Miel’s character. Miel charmingly guided her audience through the evening singing her favourite French chansons from her early childhood then moving on to her own deeply personal self-penned songs and some classic Jazz numbers. In the true spirit of the occasion, Miel and her band were later accompanied by The London Horns – a fantastic three-piece horn section from London with James Knight on saxophone, George Hogg on trumpet and Barnaby Dickinson on trombone. Particular highlights of the evening included a full-band version of ‘Feeling Good’, made famous by Nina Simone, and a Caribbean-inspired version of ‘Non, Je Ne Regrette Rien’. The evening also saw the debut of ‘Bittersweet’, a new song from Miel which she will be recording and releasing soon. Miel then said farewell to her audience before finishing the evening with a spectacular rendition of ‘Magnetic’, the title track from her debut album. Miel then returned to the stage to surprise her audience with her own adaptation of Charlie Puth’s recent success ‘Marvin Gaye’, which was such a fun way to end a wonderful evening. Miel’s debut album ‘Magnetic’ is available to purchase on iTunes and Amazon now. For the latest news on Miel de Botton please subscribe to the newsletter, like Miel on Facebook and follow Miel on Twitter.